​ ​Refresh on topics below! 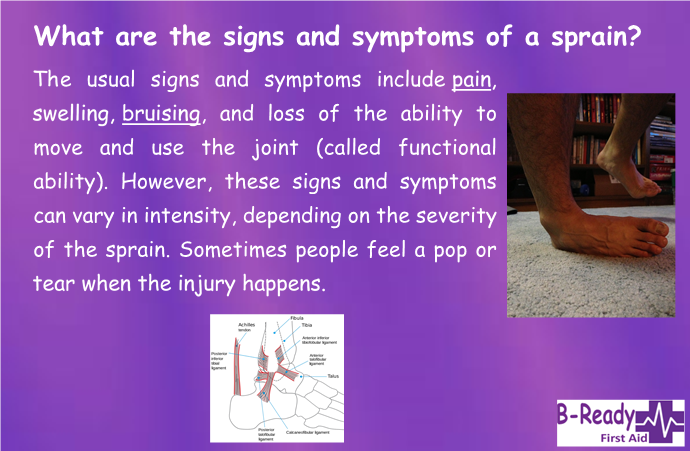 A common injury for car accidents & recreational vehicles such as dirt bikes. 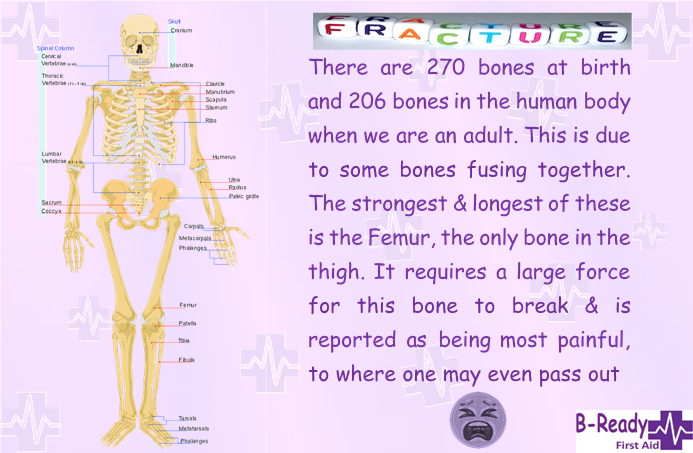 I have heard some whopper fracture stories I'm sure you have also! 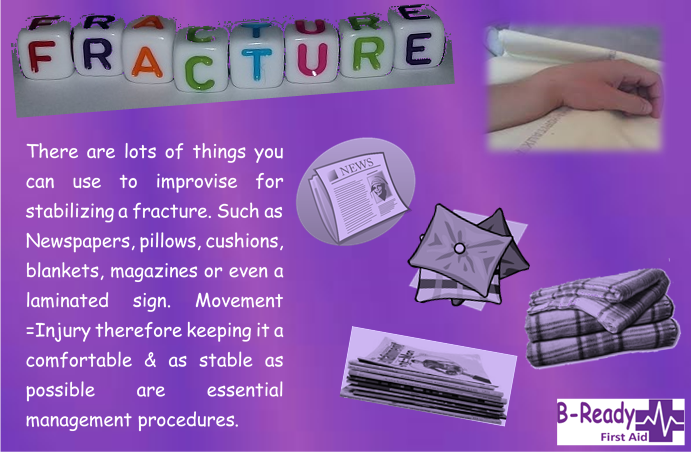 We are sure you can think of other objects! B-Ready First Aid Knee Bandage that will stay up . 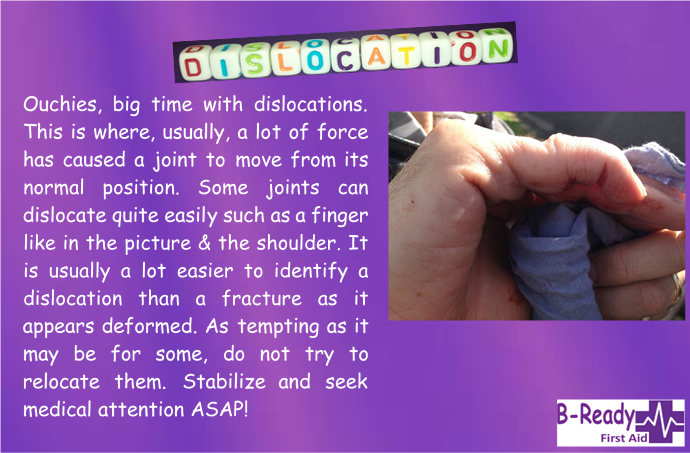 Would you know how to stabilize a dislocation. 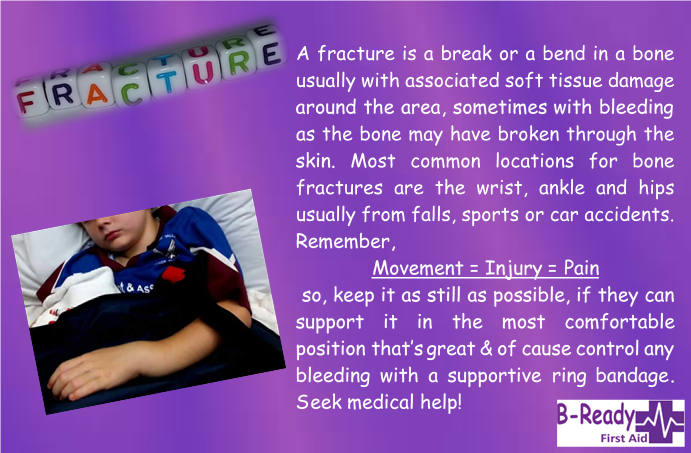 Keep it in the most comfortable place for them and call for help 000. 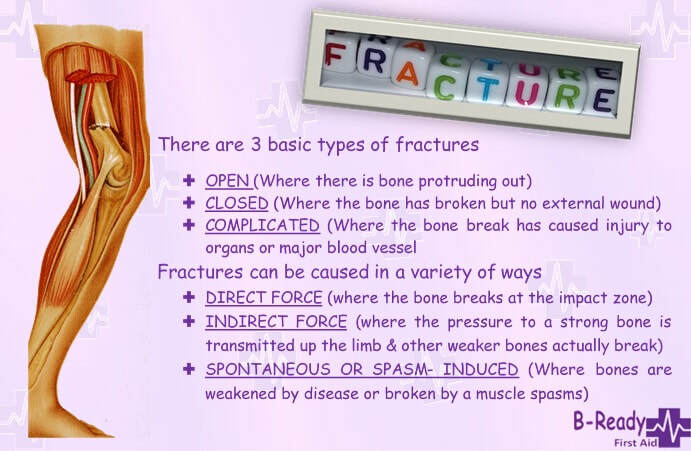 A sprain usually occurs form a fall, a sudden twist or a blow to the body that pushes and puts pressure on a joint. Ouch! As many of us head back to work in this new year please remember safety in the work place. 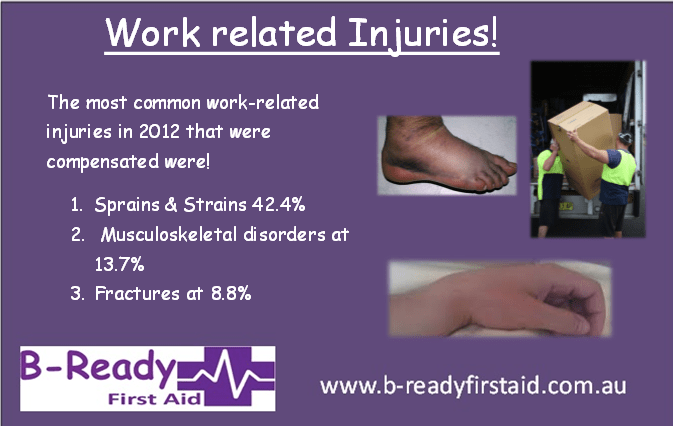 Many lives are lost at work :( and a lot of injuries occur that impact on quality of life. B-Ready First Aid Trained.